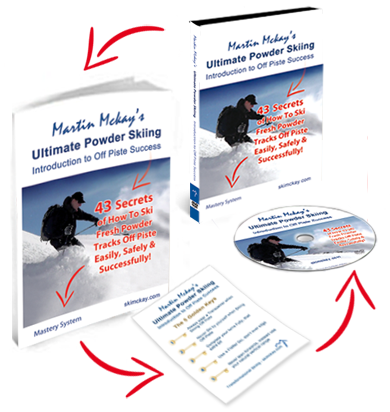 Ultimate Powder Skiing - Introduction to Off Piste Success is the Ultimate in - depth Programme to learn how to ski off piste. 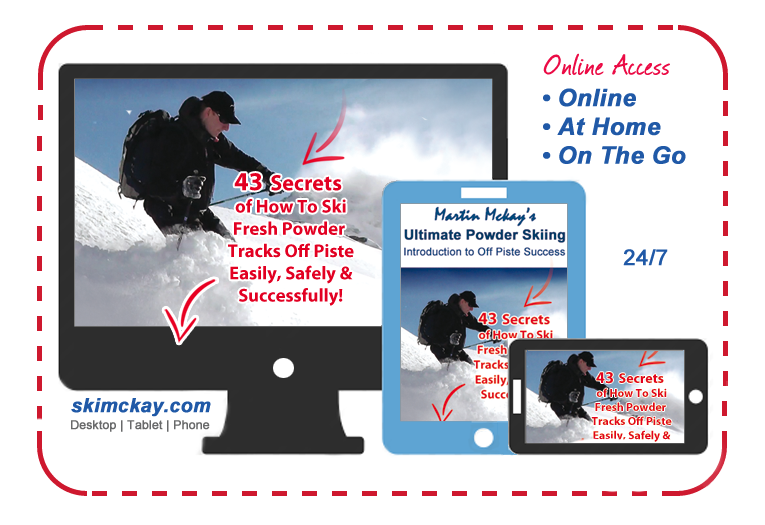 This includes Online Access, The 5 Golden Keys, Video Analysis, The Hand Book and DVD guide to all aspects of learning how to and mastering off piste fresh tracks powder skiing. 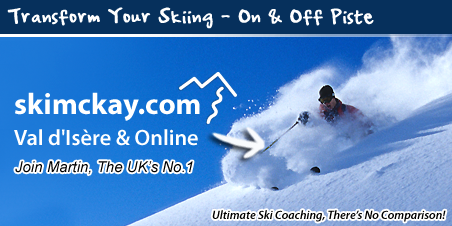 Exclusively with World Leading Ski Coach Martin Mckay. A detailed guide to off piste skiing safety so you have the essential knowledge to back you up off piste and be able to ski off piste in a safe environment everytime, without failure. An in depth introduction to the basic powder turn and how to use it so you can handle your speed and build your confidence easily and predictably. The Important elements for powder turn mastery so you can can guarantee a solid and reliable descent through the powder snow consistently, everytime. The Golden rules that govern off piste mastery and why you must follow these. This is the difference that seperates the achievers off piste from the losers. 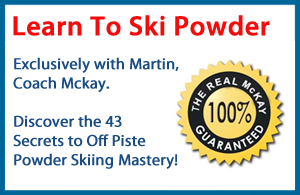 Advanced mindset, secrets and ski techniques to master off piste skiing in all conditions enabling you to become a real expert in no time at all. A detailed guide to building your ski confidence and control during the initial stages as a learner skier, ensuring you have the correct ground works in place. The Important elements that ensure you are able to control your skiing speed and how to guarantee your movements work correctly when you need them so they're fail-safe. you progress, ensuring you don't ever regress. 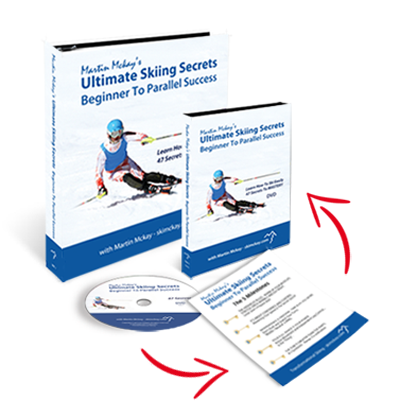 Advanced skiing techniques and vital tips that will guarantee you parallel skiiing success. 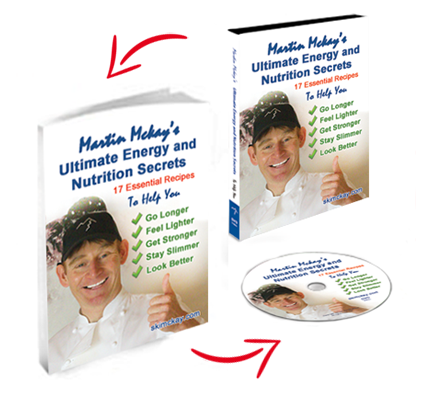 Ultimate Energy and Nutrition Secrets is a two piece in depth programme for your Well-Being. Join Martin in his private kitchen and discover his 17 recipes, food habits and routines that will bounce you off the ceiling and give you the undeniable edge. 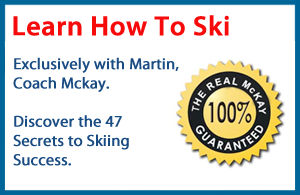 Martin is one of the World's Leading Ski coaches as well as an active athlete. The proper collaboration of the Mind, Body and Spirit in determining a Winning outcome is one of many strands to master. This is a prerequisite to Ultimate Skiing Performance. your weight giving you the youth of yesterday to perform at your peak!